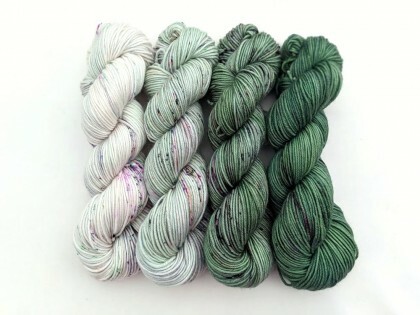 Colors: This set comes with 6 FULL skeins (approx. 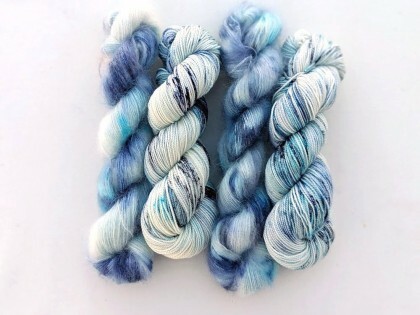 225 yards a piece) in an overdye fade set. 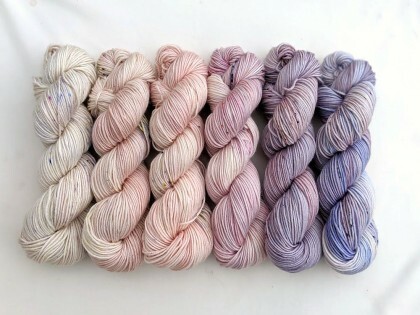 The colors transition gently from a soft lilac purple overdye tone to a mellow pink and then to a pale neutral. There are light speckles of purples, pinks, slate, apricot and grasshopper. This set would look good with most grays, depending on the amount of contrast you are wanting. 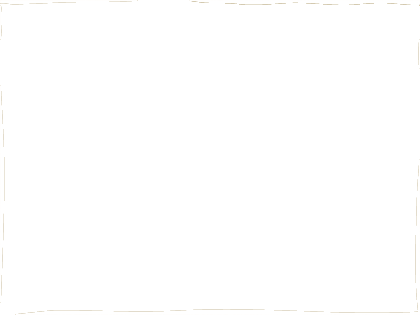 It also works great with Natural or Parchment as well as other purples such as Queen Anne. Inspiration: Rowena Ravenclaw's lost diadem that was made into a Horcrux by Voldemort. The diadem is a very important part of the final book and movie. Colors: A pale gray with speckles of gray, aqua and rich blue. Pre-Order Details: We have had a lovely response to this new color and want to make sure it is available to all! We will have these ready to ship within 2-3 weeks! Thank you! 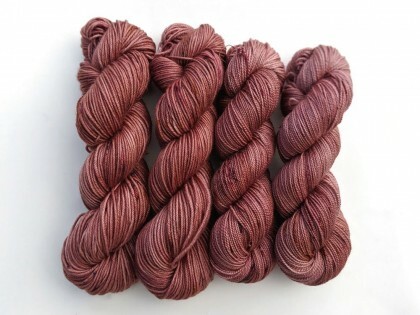 Colors: A blend of mauve, caramel and gray with light speckles of caramel, plum and slate.